The t-shaped cold pack is ideal for neck, shoulder, knee, and foot pain. The custom shape comfortably molds to the hard-to-hold areas to provide you with the best cold therapy experience. To use, place the t-shaped cold pack into the freezer. Once frozen, remove and conform to the desired area. Support the pack with the included wrap. The usual ice packs don’t stay cold for nearly long enough. The t-shaped cold pack offers long-lasting cold therapy that can be washed and reused time and time again. 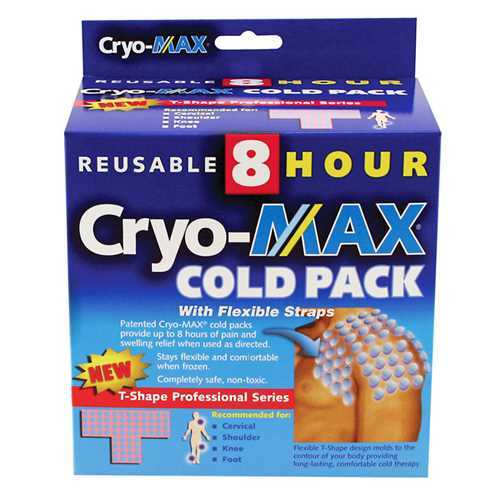 The t-shaped cold pack conforms to desired areas effectively, even while frozen. Various injuries can be treated with the t-shaped cold pack, including: post-surgical discomfort, burns, sprains, and back pain.